This course is known for its practical application of quality in the workplace. The expectations are that by the end of the course and with the active support of tutors, participants will be compulsive problem solvers, have greater job satisfaction, be effective team members, constantly seeking better ways of doing things and working on process improvements. These outcomes result in increased efficiencies, improved risk management, and improved service to internal and external customers. Quality in Healthcare: Practical Skills has been specially developed for healthcare providers by some of New Zealand's leading healthcare quality management consultants. 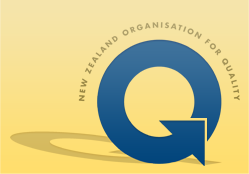 Recognising the special nature of quality management in healthcare, the New Zealand Organisation for Quality has established this practical introduction to quality for healthcare sector. The course provides the key concepts of quality management and their application to healthcare together with practical skills and tools. The major approaches to quality management systems for healthcare and essential problem-solving tools for quality improvement teams are also studied. The course culminates in the student using their learning to undertake a quality improvement project in their workplace — providing a win-win conclusion for students, their organisations and the users of our healthcare services. NZOQ has a network of experienced tutors who have backgrounds in both quality management and healthcare. Healthcare quality management practitioners have been selected to present and tutor in their areas of expertise for this course. Students are required to undertake a quality improvement project in their workplace - developing their projects as they learn the new tools. "Walking the talk" has produced some highly successful and valuable improvement projects by our students in their healthcare organisations and has provided numerous finalists and winners in local DHB Quality Programmes and the national Health Innovation Awards. When? The course is usually delivered over three days — day three being 8 weeks after day two which allows the development of the project. The course can also be delivered at two hours per week over 12 weeks and after an 8 week period for project development the class meets for a final (13th) time. Where? Public courses are run on demand (dependent on minimum numbers). Many courses are run as and Corporate training option by many District Health Boards. To add diversity to the student mix, many DHBs will include places for their local providers. Cost Very favourable rates can be quoted for your Corporate training course (maximum 20 students). This includes high quality training manual. What is the time commitment outside the course hours? Students are encouraged to review the course material after each day's study to consolidate their learning and formulate questions. I have never worked in quality before - will I cope with the course content? The course is designed to meet the needs of both beginners and those with some experience. By using healthcare facility examples, students are able to relate their learning to their work. All staff who are currently, or will in the future be, involved in quality programmes will benefit from this course. Those who do not already have a knowledge of quality concepts and skills will especially benefit. In particular, the course will benefit members of work based quality improvement teams and quality representatives. The course will be beneficial for organisations seeking to train staff in the philosophy of continuous quality improvement.